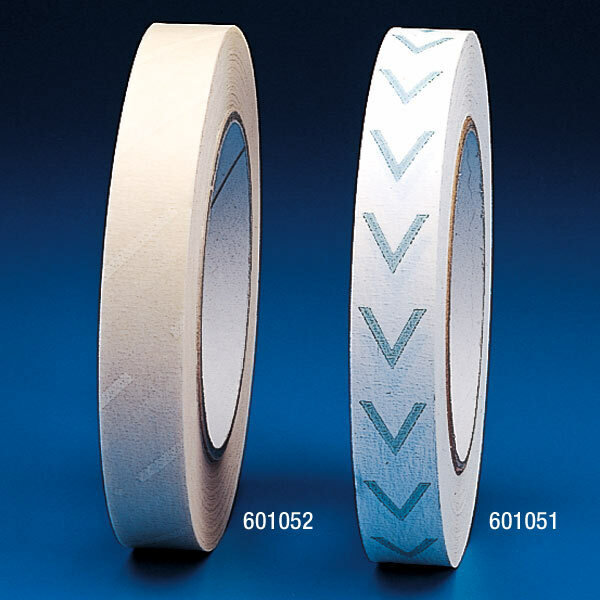 Adhesive tape to indicate sterilizationThis adhesive tape is used to seal autoclave bags and pouches and changes color when the contents have passed through a sterilization cycle. Each roll is 165 feet (50m) long. Item # 601051 is used when using autoclave sterilization (20 ft. at +121°C, 10 ft. at +125°C and 5 ft. at +135°C).